Nature-loving pupils are building bird and insect houses, hedgehog homes and butterfly feeders to protect local wildlife during the winter, thanks to a donation of timber worth more than £400 by CALA Homes (East). Valuable timber has been donated by CALA, marking a housing project of a different kind for the upmarket home builder; constructing sustainable homes for Scottish wildlife. CALA Homes, which has a major new-build development in the area, made the generous donation to Queensferry High School’s Design and Technology Department to support pupils with their “Sustaining Scotland’s Natural Wildlife” project. Janet Thomas, Curricular Leader of Design and Technology at Queensferry High School, said: “We’re very grateful for this generous timber donation from CALA as project materials can be hard to come by. 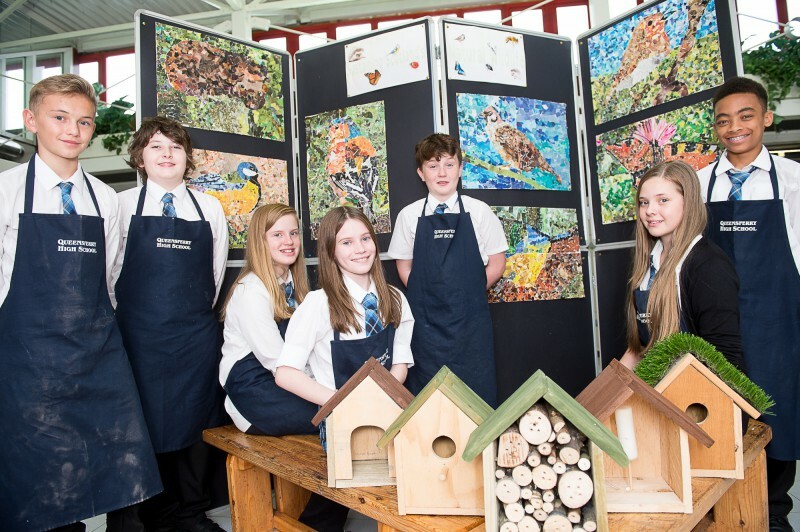 “Thanks to the house builder, the Design and Technology students are very excited to be able to continue with the ‘Sustaining Scotland’s Natural Wildlife’ project to build safe homes for the wildlife, birds and insects in the local area. CALA East’s Dalmeny Park development recently launched a new phase of one and two bedroom apartments to the market, with prices starting from £165,000. Can our Edinburgh PR agency help you?